Aligning internal resources to manage and execute the successful manufacturing of your prototypes can be difficult. We take 100% of the work associated with the manufacturing out of your hands completely. We have dedicated manufacturing project managers that work directly with our designers and engineers to manage your prototype build from day 1. Your project manager will handle everything, from working with the designer to get the stackup at the beginning of the layout, to placing orders with the vendors and managing shipping & delivery schedules. Our streamlined process and dedicated project managers allow you to free up internal resources and further ensure that prototypes are delivered on schedule. 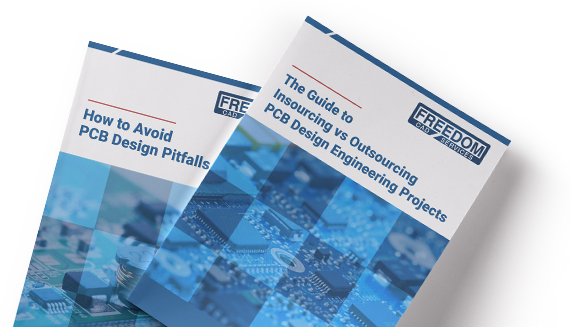 Freedom CAD has strategic alliances throughout the PCB manufacturing industry. Our partners have been hand picked to offer the highest standards and best match for your technology & industry requirements. Our dedicated manufacturing team will manage every aspect of your prototype manufacturing from day one while working directly with our designers and engineers to ensure there is a smooth transition to the manufacturing phase.